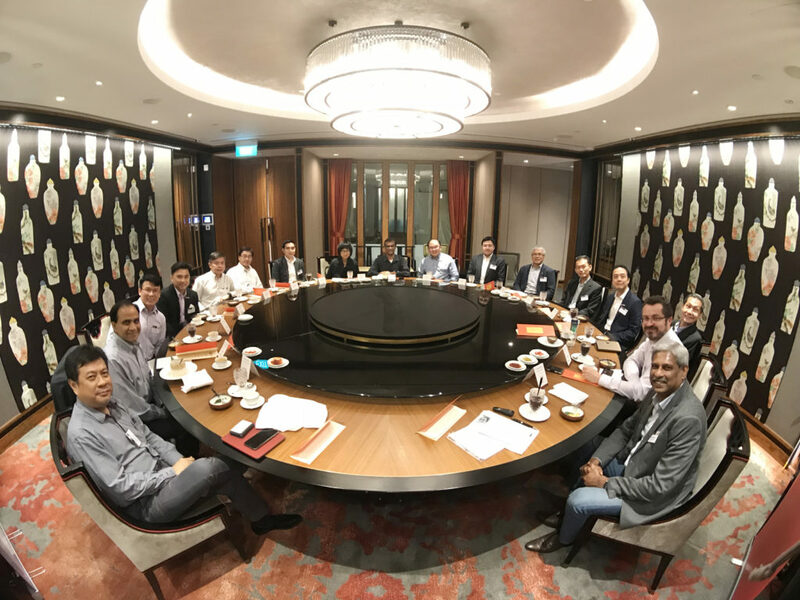 In partnership with Red Hat, CIO Academy Asia hosted a special Executive Lunch Roundtable on the 18th of October. Damien Wong, Vice President and General Manager, Asian Growth & Emerging Markets, Red Hat; Eugene Yeo, Group CIO, MyRepublic; Tan Meng Wai, Director & Head of Solution Architecture, Asian Growth & Emerging Markets, Red Hat and a select group of practitioners from various industries gathered to share their thoughts and questions and recommend best practices to Building an Agile Organisation. 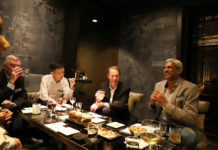 P. Ramakrishna, CEO, CIO Academy Asia, moderated the discussion. The modern business landscape is defined by shortening technology cycles and pervasive disruption happening across all industry sectors. 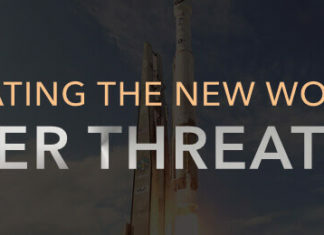 As rapid technology change continues to outpace existing business models, technology leaders need to develop greater business agility to respond quickly to changes in customer needs and stay ahead of the competition. There has been a change in today’s customers’ expectations too: they want on-demand services. In response to this, organisations are required to take a customer-centric approach and deliver new experiences ahead of their competitors. How can digital leaders leverage practices like DevOps to enable technology and business teams to collaborate effectively and deliver innovative solutions to demonstrate business value at speed and scale? This roundtable tried to generate a discussion and find some learning around this theme. Mr. Ramakrishna kick-started the discussion with the analogy of Olympic Games champion sprinter from Jamaica, Usain Bolt. Bolt is not naturally endowed with a body frame which is considered suitable for sprinting but he still made world records because of sheer hard work, mental discipline and dedication to build himself up as the fastest athlete on the planet! The next part of the discussion tackled the very question of how to bring agility into an organisation. Today, all organisations are facing the heat of digital transformation. Globally, giants like Kodak and General Electric have suffered at the hands of this unforgiving wave. So have local companies like Comfort, which have to put up a good fight to the new players like Grab at home. Mr. Damien Wong of Red Hat spoke at length on digital transformation in the context of the Open organisation. Every organisation understands that digital transformation is the imperative but they are not sure which path to take, he said. 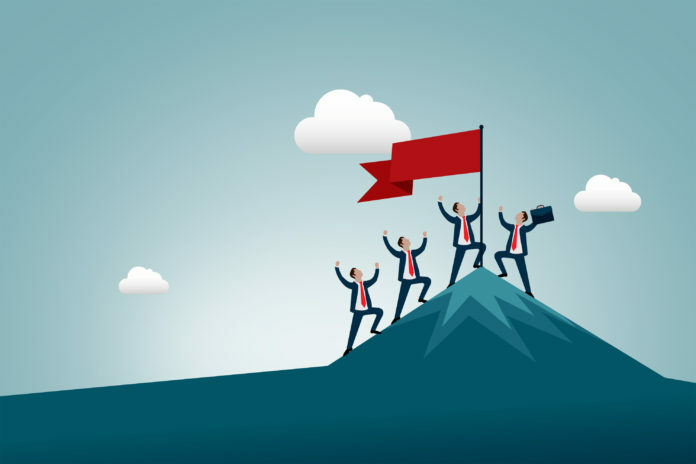 According to one study cited by MIT Sloan Management Review in 2017, 90% of organisations are engaged in some kind of digitisation but only 16% have a bold and at scale digitisation strategy in place. Red Hat that champions open source technology disrupted an entire industry (software and IT services industry) in 1993—long before companies like Tesla, Amazon, Uber and Airbnb came into existence as the big disrupters. In the changed tech landscape, Open Source is more relevant than ever, he said. The Open Source community is now bringing new technologies into the market such as ride hailing platforms and blockchain technologies. Mr. Wong advised that to be agile, the modern organisation needs to behave differently from what was acceptable in the past. For example, long-term planning is now dead as it is impractical and organisations have to be agile and nimble to survive in this new era. and Engage in a collaborative culture (sharing ecosystem). Again, the road to digital transformation should not be reactive; it should be a proactive journey. “Good organisations react to change whereas great ones anticipate the change and transform themselves,” he said. This change can be driven from the top (top down change) or it could be a bottom up change—through organic, pools of innovation that spur change. 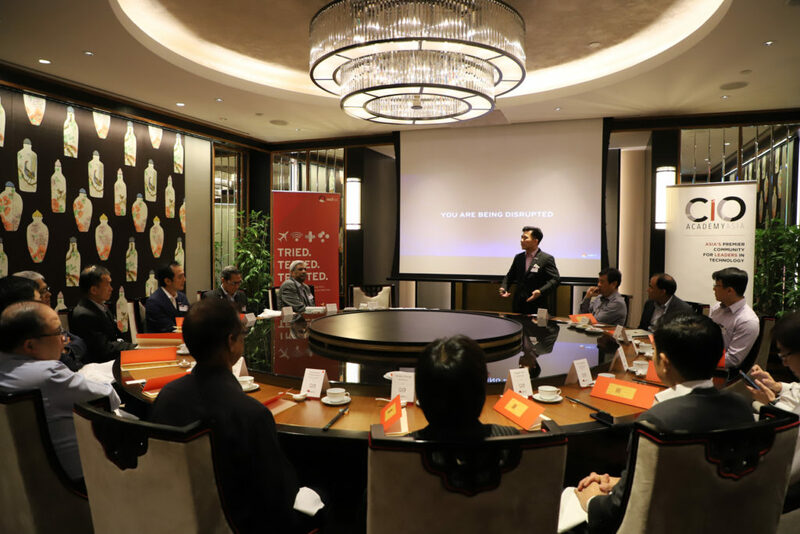 In Mr. Wong’s words, Red Hat itself is an example of digital transformation that walks the talk. It’s a 100% open source organisation. 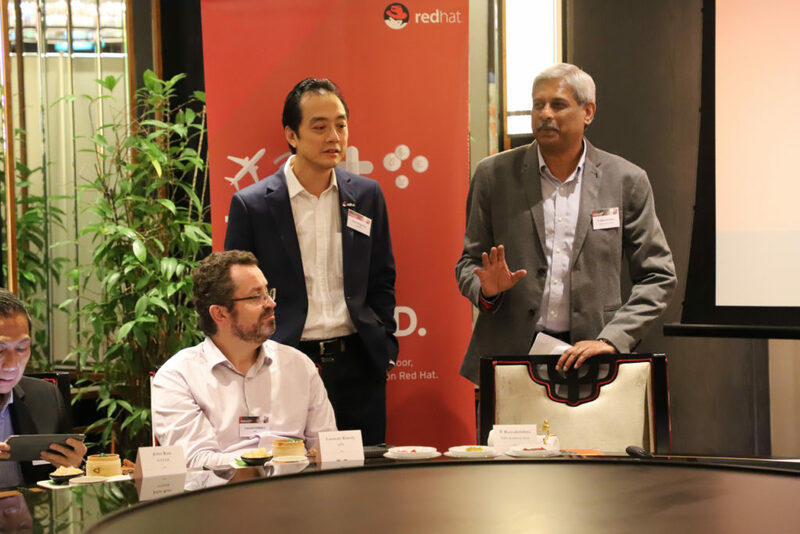 To bring agility in organisations, Mr. Tan Meng Wai of Red Hat advocated open source architectural considerations—for consistency, portability, and security. Similarly, he suggested that organisations should change their development processes: open your culture, automate as much as you can, and get the right platform (container platforms) for agility. 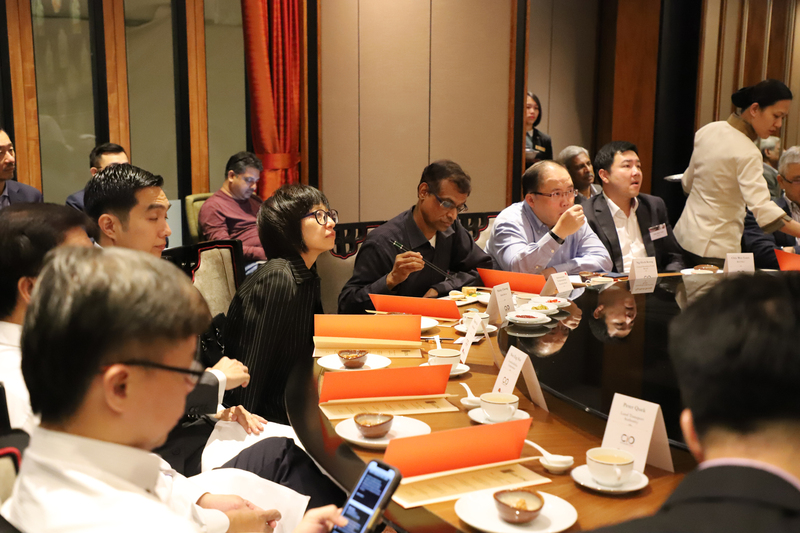 Advantages of Open Source are real, he said, as numerous organisations globally are benefitting from it including Macquarie, Cathay Pacific, Pioneer, and GovTech. Understandably, most large organisations have legacy issues. Because of the legacy systems, there is resistance to change, Mr Wong said. But that should not hold an organisation back from becoming agile. Digital transformation need not be initiated in a big way; it could start small and grow bigger (Start small, think big and expand). For organisations with legacy systems, Bi-Modal DevOps is the way to go. Mr. Tan said, “Open source culture powers innovation.” He also advised to avoid long-term roadmaps and break things into smaller chunks. A participant representing the banking industry agreed that long-term planning is not feasible in the new tech environment, but he offered that planning is still important, even if you are going to be an agile organisation. But what matters more than planning is good execution. Mr. Eugene Yeo of MyRepublic said that his organisation was still on a journey of transformation. This home- grown telco has expanded to other countries such as Indonesia, Australia and New Zealand. The company adopted Open Source 7 years ago, because that’s what they could afford. Commenting on DevOps, he said that it requires a different mindset. For example, companies need to embrace failure. But if all you have are experienced workers, then they would only want to do things as they know in the old way. How will change come then? Therefore, a company’s culture is very important. To build the right culture, he advised to have a balance of old and new: hire the right people and new talent pool should be balanced with a pool of experienced workers too. The leadership too needs to understand agility, he said. Resource management is key –prioritise the projects, and opt for continuous delivery of features, bug fixes, etc. He cited one of the greatest warrior leaders of Asia, Genghis Khan and how he had small cross-functional agile teams that worked together to ensure victory for Khan’s army across a large swathe of territory. Commenting on people and organisational culture, one representative from the shipping industry (which is a brownfield industry) said that in his industry the agile mindset is not prevalent yet; they still have to retain people for legacy knowledge and hire new people for new tech knowledge. Building an agile organisation: Insourcing or outsourcing? Mr. Ramakrishna raised the questions if all organisations have to set up their own development teams in order to be more responsive to the needs of their customers? One practitioner representing a bank said that they had to re-insource after outsourcing did not work as an option. He stressed that in the outsourcing and insourcing debate, the key is to find the right balance/flexibility between expectations with your contractor and the project deliverables. Both parties have to understand that there might be changes and lots of give and take along the way. He also highlighted the issue of achieving agility in the case of Greenfield vs. Brownfield industries. In the case of the latter, you don’t have complete control as there are many moving parts, he said. A CIO representing the public sector said that it is difficult to configure and define agile projects as they evolve. To handle this agility issue, his organisation had to re-engineer their contracts with their outsourcers so that they can increasingly realise more agile projects over time. Another CIO from the public sector shared that one of the biggest challenges his organisation has is the legacy systems. “How do we coordinate the bimodal approach?” he asked. He also pointed out that there are many OT-related engineering systems and signaling systems that are very sensitive systems. They are part of the mission critical infrastructure, so engineering time is very short in their case, hence limiting the deployment of outsourcers or even the bimodal approach. 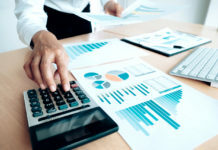 A different perspective was shared by a CIO practitioner representing another organisation from the public sector – in his organisation’s case, they had to opt for in-sourcing because they handle confidential data. Other limitations of outsourcing were also shared by a CIO representing an aerospace manufacturing company. On one hand, you want to let them (outsourcers) develop an agile platform, but you have data that they can’t access, she said. So, limitations of data access could be a hurdle. Mr. Eugene Yeo said that failing fast does not mean that the whole infrastructure fails. It’s about features and users’ reaction to it and tweaking the changes in response to achieve the optimal results. At the end of the day, a balanced approach to development is required, as commented by a CIO representing a high-tech design and manufacturing firm. “I don’t want perfection, give me what is good enough,” he said. 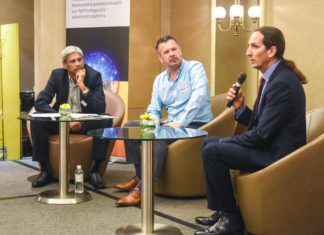 A CIO from Singapore’s statutory board that supports technology R&D shared that his organisation strives to be agile, as they constantly push boundaries and often hit the walls of regulation. “Regulations need to be revised to encourage agility,” he said. In the end, Mr. Ramakrishna summed up the roundtable discussion by emphasising the need for agility for organisations despite the challenges that they face—be it in the form of talent, organisational culture, legacy systems, approaches to insourcing or outsourcing or regulations.